Between 3 and 10% of people in prison hear voices. 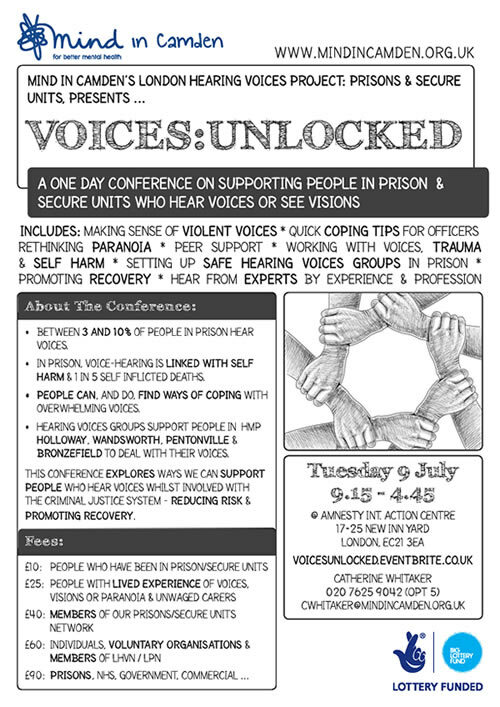 This conference explores ways we can support people who hear voices whilst involved with the criminal justic system – reducing risk and promoting recovery. 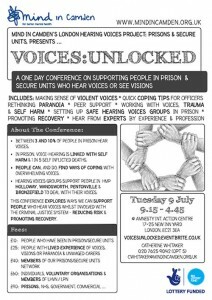 Hear from experts by experience and profession, including: Facilitators from HMP Holloway, Wandsworth, Pentonville & Bronzefield, the Mind in Camden Prison Project Team, Jacqui Dillon, Dr. Dave Harper & more. If you are unsure which fee category applies to you, please contact Catherine before booking.